For the environmental movement, this is the best of times and this is the worst of times, the spring of hope or the winter of despair. Most of the world is now acutely aware of global warming. The evidence for such is occurring in real time, with the Jersey shoreline competing with central Oklahoma for prominence in the US press, if not in Federal aid. A worldwide movement has sprung up and most rational folks embrace renewables and green energy alternatives. But—the worst of times– there are still holdouts. Atavistic deniers who prefer counting their dollar contributions from big energy to numbering the carbon parts per million in the atmosphere, which, by the way, has just passed the 400 parts per million mark. The last time that happened the woolly mammoth was looking for grub in the Adirondacks and the saber-toothed tiger bounded across the Siberian plains. Say about 2 to 3 million years ago. These denying folks are like that crazy Uncle you have to share Thanksgiving dinner with—the guy with the dead deer head hung over the fireplace who thinks global warming is a secret plot to weaken America. His opinion wouldn’t matter a lick, of course, unless he tried to run for public office, and then it could portend that winter of despair. APV’s deputy director for the environment, Stefan Reed, has put together a quick comparison of the Democratic and Republican candidates position on the environment for this year. On one hand, it shows a candidate struggling to integrate environmental concerns with economic efficiencies. On the other, it paints a pretty clear picture of a candidate so bizarrely out of touch he would resort to prosecuting a researcher at UVA in order to prevent information about global warming from simply becoming known. In other words, our crazy climate denying uncle. We’ll let you decide which is which. Ken Cuccinelli (R) and Terry McAuliffe (D) are both aiming for the Governor’s mansion. These two candidates have their own ways of justifying their environmental stances. As the Virginia State Attorney General, Cuccinelli announced in 2010 that he would challenge the fuel efficiency standards that the Obama administration and the Environmental Protection Agency (EPA) established under the Clean Air Act as well as remove and reduce incentives for renewable energy production in Virginia. Infamously, he spent two years attacking Dr. Michael E. Mann, a climate researcher now at Penn State who was previously an assistant professor at UVA. Cuccinelli accused Mann of falsifying and withholding evidence while receiving public research funds, something that should have scientists concerned, but not State Attorneys General. Since when did the Attorney General’s office acquire a climatologist? Nevertheless, the State Attorney General attempted to prosecute Mann under the VA Fraud Against Taxpayers Act. But there was no evidence of wrongdoing or fraudulent activity. Cuccinelli continues to deny both Mann’s valid climate change findings as well as the EPA’s findings that greenhouse gases endanger public health. We should note that there’s probably a good reason for this. To date, Cuccinelli has received more than $1.5 million from corporations that profit from the deregulation of pollution standards, including the Koch brothers, Dominion Resources Inc, and CONSOL Energy Inc. Additionally he received $1 million from the Republican Governors Association, a 527 political organization that aids Republican governors and gubernatorial candidates. While it is impossible to know the exact origin of the RGA’s $1 million contribution, the organization receives a large portion of its money from less than stellar environmental interests–$1 million from Rupert Murdoch’s News Corporation, as an example, the parent corporation of Fox News that has given climate deniers a national platform. Should Cuccinelli become Governor of Virginia, this trend is likely to continue. Terry McAuliffe has never been elected to public office which makes it hard to figure his voting habits, but his platform is fairly clear on issues of environmental protection and sustainability. He has spent years as an integral part of the Democratic Party as a fundraiser and campaign director. During that period he worked closely with the Clintons and environmental champion, Al Gore. Some may not consider McAuliffe an environmental champion himself, but he’s pretty close. In 2010, McAuliffe became the owner of GreenTech Automotive, an electric motor vehicle company. He has since left the venture, but as a former green business owner, he says he understands the importance of investing in industries that are good for the environment, as well as providing jobs. 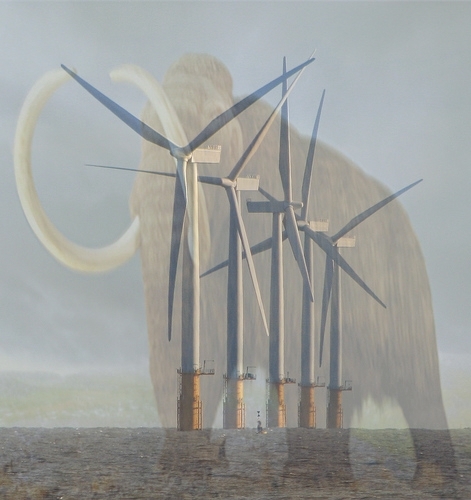 One of these choices will lead us straight off an environmental cliff, back to those halcyon days of the Pliocene era when woolly mammoths roamed the landscape–and humankind was nowhere in sight. The other choice will tap into the latent potential of renewable energy alternatives, increasing Virginia’s competitiveness world-wide and making the state economically strong and environmentally safe. Seems like a no brainer…unless you happen to like that crazy Uncle at the Thanksgiving dinner table.